This coming weekend, I have the extreme honor of leading The Shadow Process Workshop in Los Angeles. No matter how many of these workshops I have attended, participated in, or led over the years, I am always in awe of the shifts that people experience in the short time span of 2½ days. I am also so grateful to Debbie Ford for creating a process that continues to live on and transform the lives of so many. We all have heard the adage “You teach people how to treat you.” Yet what many people might not realize is that it is often your unconscious mind, which is far more powerful than your conscious mind, which tells and teaches people how to treat you and how to interact with you. It is also your unconscious mind that is filled with shadows and shadow beliefs — all of that internal dialogue that plays in your head and repeats disempowering statements like “I am not good enough.” “No one will ever love me.” “It is not safe to stand out and shine or be seen.” Ultimately, it is your negative internal dialogue that is your inner teacher, instructing the world how to treat you! If you don’t see yourself as worthy, loveable, or someone who has something to offer the world then neither will anyone else, since how you see yourself, consciously or unconsciously, is reflected in how others see you! Debbie always used to say that if someone told her that the world treats them badly, she knew that it was because they treated themselves badly! If a person was seen as a “worker” instead of an executive, it was because the person saw themselves as a “worker” and had not claimed and truly owned that they are an executive. If you truly want to live a life that inspires you, if you want to keep evolving, if you want to step into the next greatest evolution of yourself, then you need to claim it! When you claim yourself as your highest self, the universe alters. When you claim and truly own that “I am that!” the Universe will align with your deep sense of knowing. Understanding this concept is really quite exciting because if you do your work to bring the shadows, thoughts, beliefs, and negative dialogue that live in your unconscious mind into the light of your conscious awareness, you will be able to shatter your limitations and step into creating magic and claiming the life that you long for. 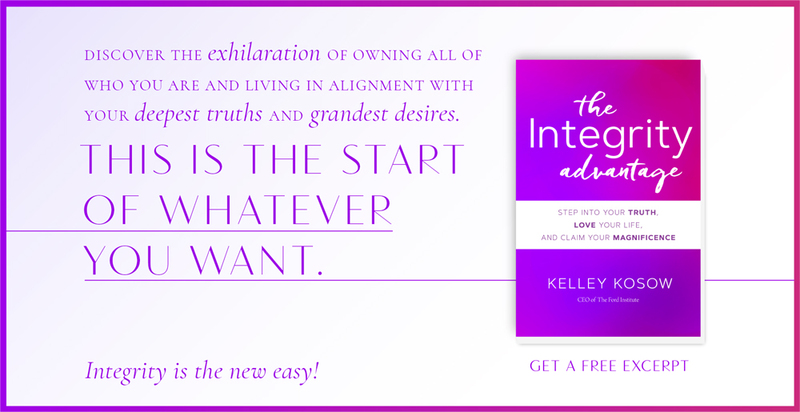 The really exciting news is that everything you yearn for is already inside of you. You just need to claim it! 1. 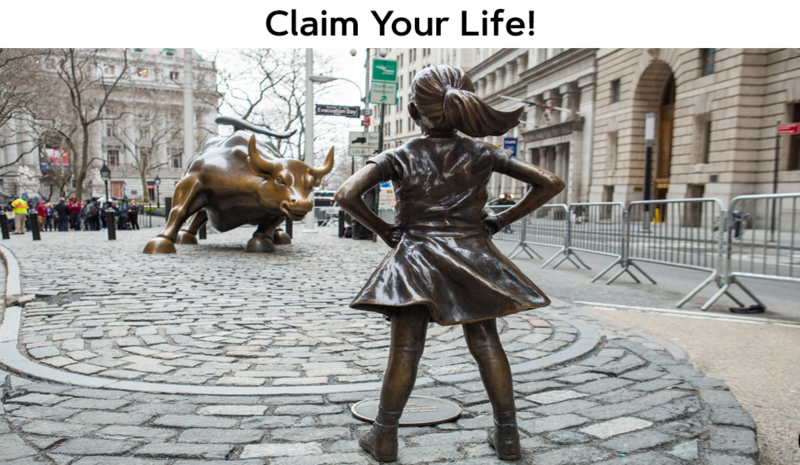 Take on “Claiming Your Life!” Identify some goal or achievement that you are chasing in the outer world. Ask yourself, “What is the number one quality or characteristic that a person who could achieve that goal would display or have?” Is it confidence? Discipline? Charisma? Spontaneity? Or something else? 2. For the next 28 days, wake up every day and ask yourself, “What can I do today to really own or display that quality?” Commit to yourself to do whatever action or practice you hear. 3. Come to The Shadow Process Los Angeles April 6th to April 8th for your own insights and a-has! Learn more and register here.